Thurston Climate Action Team (TCAT) has been encouraging action, coordinating action and taking action on climate change since 2008. TCAT is a locally-focused non-profit, which is spearheading a multi-pronged approach to addressing the most urgent challenge ever faced by humanity. From influencing local government priorities to promoting energy efficiency and empowering citizens to mobilize, TCAT has earned a reputation for leadership on climate in Thurston County. This video highlights Thurston County’s community of climate-concerned groups and organizations that are coming together to make change at the government level and beyond through outreach, events, volunteering, and important conversations. 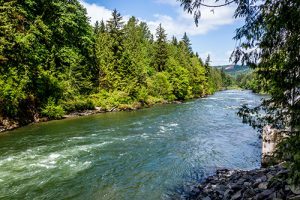 The Cities of Olympia, Tumwater and Lacey, along with Thurston County, have committed to developing a Regional Climate Mitigation Plan. The Carbon Free Thurston (CFT) campaign is encouraging local governments in Thurston County to adopt very strong, bold, and effective policies and investments to significantly reduce GHG emissions which result from activities of city residents and businesses. We are doing this by working with the Cities and the County on funding and developing the Regional Climate Mitigation Plan, and by helping local residents make their voices heard on this issue. Improving communication, coordination and collaboration among local groups working on climate change is the goal of the Climate Action Coordinating Council. This TCAT project, which brings together local environmental organizations, is funded by a Climate Action Coordinating Grant that expires at the end of 2019. TCAT is actively raising funds to make this project a permanent program. This energized, educational and thoughtful program is intended for everyone interested in taking action on climate. Lectures, workshops, and breakout sessions covering science, activism and policy In partnership with local organizations, the annual event was also launched with help from a generous foundation grant. The success of projects like Carbon Free Thurston, the Climate Action Coordinating Council, and the South Sound Climate Convention, relies on donations and grants from foundations, businesses and committed individuals like you. Click image to start giving! The Combined Fund Drive (CFD) is Washington State’s workplace giving program for active and retired public employees. State and higher education employees are invited to give to the charity of their choice through payroll contribution and agency fundraising events.